This bustling shopping area, with its associations with the swinging sixties London, is likely to be an expensive place for a decent coffee. 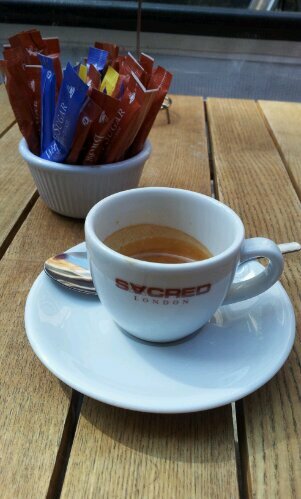 Luckily, Sacred make a pretty decent cup. They also have some tables inside and outside that let you watch the (very fashionable) world go by, and there is no traffic to worry about.